The ESEC/FSE 2017 Demonstrations Track provides an opportunity for researchers and practitioners to present and discuss the most recent advances, experiences, and challenges in the field of software engineering supported by live presentations of new research tools, data, and other artefacts. We invite innovative research demonstrations, intended to show early implementations of novel software engineering concepts, as well as mature prototypes. The research demonstrations are intended to highlight underlying scientific contributions. Whereas a regular research paper points out the scientific contribution of a new software engineering approach, a demonstration paper provides the opportunity to show how a scientific contribution has been transferred into a working tool or data set. Authors of regular research papers are thus encouraged to submit an accompanying demonstration paper. Submitted papers must conform to the ACM Conference Format and must not exceed 4 pages for all text, figures, and tables. An additional one page can be used for references. Submitted papers must be written in English. They must be unpublished and not submitted for publication elsewhere. A walk through of the actual demonstration, provided as an appendix to the paper (this appendix will not be included in the page count and will not be published). A link to a screen-cast or some other accompanying multi-media presentation of the demonstration. Information on tool or data availability, maturity and user base, as well as a link to a website for the materials (if one exists) and any tool source code (if open source). 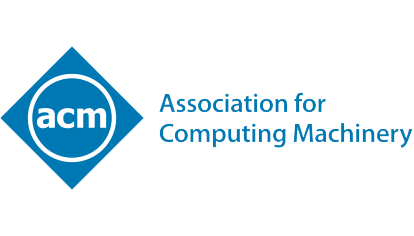 All accepted demonstration papers will be published in the ACM Digital Library. Note that the official publication date is the date the proceedings are made available in the ACM Digital Library. This date may be up to two weeks prior to the first day of ESEC/FSE 2017. The official publication date affects the deadline for any patent filings related to published work. At least one author of each accepted paper must register and present the paper at ESEC/FSE 2017 in order for the paper to be published in the proceedings. One-day registrations do NOT satisfy the registration requirement. Please carefully read the complete list of ESEC/FSE Submission Policies and Policies for Accepted Contributions. To promote replicability and to disseminate the advances achieved with the research tools and data sets, we require that data sets be publicly available for download and use. We strongly encourage the same for tools, ideally through their distribution with an open source software license. Whenever the tool is not made publicly available, the paper must include a clear explanation for why this was not possible. Authors are also encouraged to distribute their demonstration in a form that can be easily used, such as a virtual machine image, a software container (e.g. Docker), or a system configuration (e.g. Puppet, Ansible, Salt, CFEngine). To further increase the visibility of the presented tools and data sets, we require all authors to produce a screencast presenting their tool. For the papers that will be accepted for presentation, accompanying screencasts will be linked from the demonstration track website. The authors can submit a link to the screencast together with their papers as an alternative to the appendix that describes the way the demonstration will be carried out. Each submission will be reviewed by members of the program committee. The main evaluation criteria include the relevance and quality of the proposed demonstration in terms of technical soundness, originality, relevance for the ESEC/FSE audience, presentation quality, and usability. Accepted demonstrations will be allocated 4 pages (plus one additional page for references) in the main conference proceedings. At least one author of each accepted paper must register and attend ESEC/FSE 2017 in order for the paper to be published in the proceedings. Demonstrators will be invited to give a formal presentation that will be scheduled as part of the conference program. Papers must be submitted electronically through the ESEC/FSE 2017 submission site. When submitting, please select the Tool Demonstrations track after signing into easychair as new authors.